Norfolk Leisure Runcton Square Pavillion Gazebo 3m x 3m including curtains & nets, provides an attractive covering for dining areas in an outdoor garden space, ideal for entertaining or relaxing in the garden. 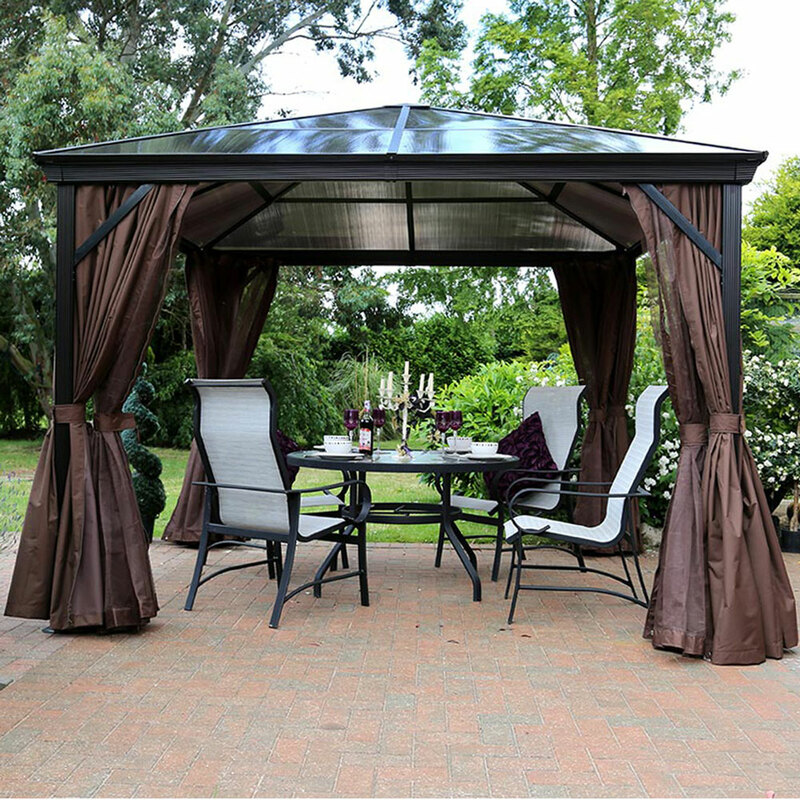 Constructed with a polycarbonate roof and anthracite finished aluminium, the set is designed to match structural colour to curtains & nets included. Ensures outdoor space is protected from both wet and cold conditions and/or shaded from the Sun. Curtains & nets can be drawn closed for illuminated dining evenings where moths, flies and insects can be kept at bay. Pavillion sized gazebo is designed to accommodate a 4-5 person outdoor dining set or smaller lounge seating sets.